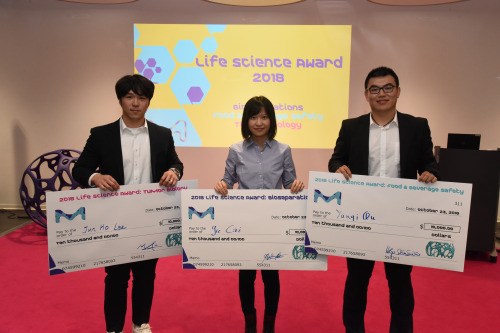 Darmstadt, Germany, November 19, 2018 – Merck, the vibrant science and technology company, recognized three graduate students who have demonstrated innovation in life science at an awards ceremony at the company’s global headquarters in Darmstadt, Germany recently. “This year’s Life Science Award winners generated new insights into areas of deep interest to the applied sciences,” said Udit Batra, member of the Merck Executive Board and CEO, Life Science. “Each winner is not only a good scientist, they are curiously solving the toughest problems in life science,” he added.